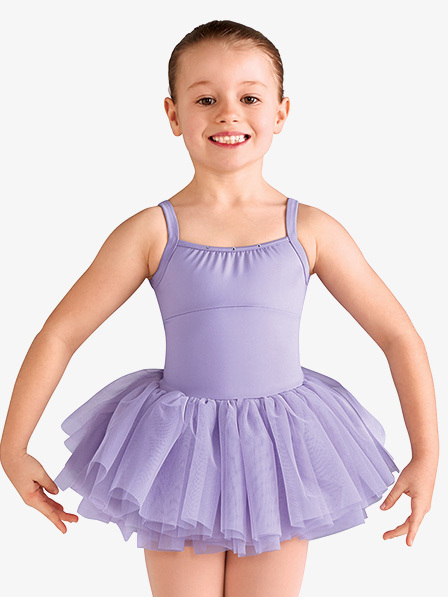 OUR PRICE: $32.08 - Join Rewards Get $1 Dance Dollars On This Item! Too cute to handle! This darling tutu dress features camisole straps, a gathered square neckline, empire seaming, a diamond heart flock mesh back, an attached full-bodied tutu, and attached briefs.